Fuse – does it blow? If there hasn’t been a new shooter from EA released every month this year so far, then it certainly feels like it. Fuse is this month’s offering, which originally started out under the guise of Overstrike. The squad-based shooter was then given a major overhaul, with a catchier new name to boot. It’s Insomniac’s first multi-format release but reviews suggest it doesn’t fare quite as well as some of their other games. CVG gave it 6, IGN a 6.5 and Destructoid 4/10. There have been a few 7/10s around too, including this one from PlayStation Lifestyle who called it “strangely addicting”. We really, really, detest the use of the word ‘addicting’. 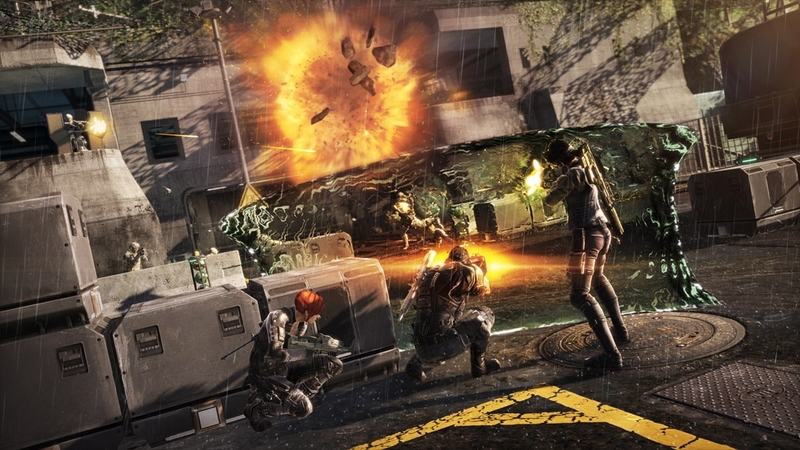 Destructoid’s review paints a very grim picture indeed: “A four-person co-op shooter as dry as a dead tree, Fuse walks the same path as other fabled “me too” middle-ground games like Inversion and Quantum Theory — a repetitive, flavorless, excruciating slog from cover-based firefight to cover-base firefight. “It’s ostensibly Gears of War on autopilot — a slow-paced retread through ground so familiar you could set a watch by it, remorselessly lacking in surprise, while any originality is quickly wasted through overuse and shameless self-exploitation,” they continued. From the sounds of things Wii U owners can take comfort that they’re not going to be missing out too much. Reviews of Grid 2 have fared better. We had a feeling this would be a good ‘un – racing games are in decline at the moment, and so it was highly likely that Codemasters would pull out all the stops with this sequel. EDGE gave it a lofty 9/10, calling it “a dazzling package that can proudly take its place among the best racing games of this generation”. Eurogamer’s review meanwhile wasn’t quite as glowing, and ended by claiming that DiRT remains Codemasters’ premier brand. 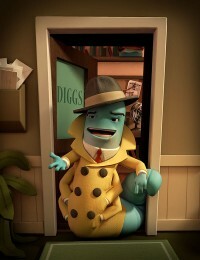 Then we’ve got the budget priced Wonderbook: Diggs Nightcrawler. The PlayStation 3 add-on didn’t exactly fly off the shelves upon release, which would perhaps explain why this is only the second game for it. By all accounts detective Diggs Nightcrawler isn’t bad at all, gaining a 4/5 from The Telegraph who called it “very good value” despite the four hour or so length. Chances are though that’ll it’ll take children a little longer than this to get bored with it. The cheapest place online seems to be Amazon, at £13.99. Nordic Games’ ArcaniA: The Complete Tale for PS3 and Xbox 360 is another budget release, available for around £24.99 online. What you get for your money is ArcaniA 4: Gothic plus the ‘Fall of Setariff’ expansion pack. We’d suggest trying the demo first – reviews of Arcania were far from great when it was released in 2010, while the expansion also arrived to a bit of a critical mauling. It’s hoped this re-release will sort out the achievements in the Xbox 360 version which were unobtainable due to glitches. 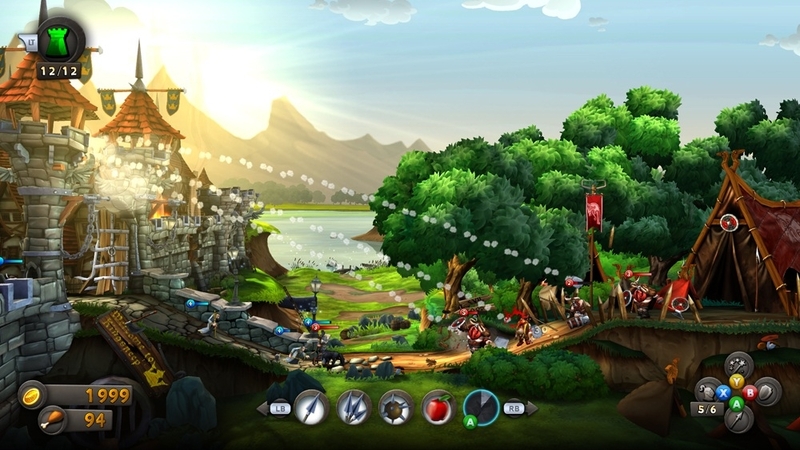 The 2D physics-based destruction game CastleStorm is the week’s XBLA title. It’s also due out on PSN at some point, although we’re not sure when. PlayStation 3 owners aren’t left without anything new to download, however – there’s a Last of Us demo and, slightly less attention-worthy, the hidden object murder mystery Mountain Crime: Requital for both PS3 and PS Vita. Over in the world of Nintendo downloads meanwhile there’s The Legend of Zelda: Oracle of Seasons / Oracle of Ages for £4.49 each on 3DS VC, plus THE DENPA MEN 2: Beyond the Waves (£8.99) and SpeedX 3D Hyper Edition (£1.79) on 3DS eShop. That’s a pretty impressive line-up – there’s not one duffer there. Next week: The Elder Scrolls V: Skyrim Legendary Edition (360), Remember Me (PS3, 360, PC) and Journey Collectors Edition (PS3).